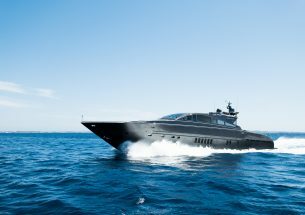 The luxurious Mangusta 108 open style performance luxury motor yacht, has a sporty nature and combines high-performance with the personalisation and comfort of a traditional motor yacht. Refitted in 2015, her light ambient interior spaces include cream soft furnishings creating a luxurious area for relaxation. Her interior and exterior spaces create a sense of freedom on the water. Spacious cabins offer accommodation for 6/8 guests sleeping. Each of the 4 cabins are equipped with large flat screen televisions, Apple TV’s with film library & Sonos sound system. WIFI throughout. The full beam spacious Master cabin & has stunning en-suite facilities. This size master cabin can only be found on many 40m+ yachts. A VIP cabin with queen-size bed, vanity area and en-suite facilities. Third queen-size guest cabin with en-suite facilities and all comforts. The fourth cabin is currently used as an office/ massage room. It converts into a comfortable double cabin with fold down bed with ease, ideal for children or supernumeraries. 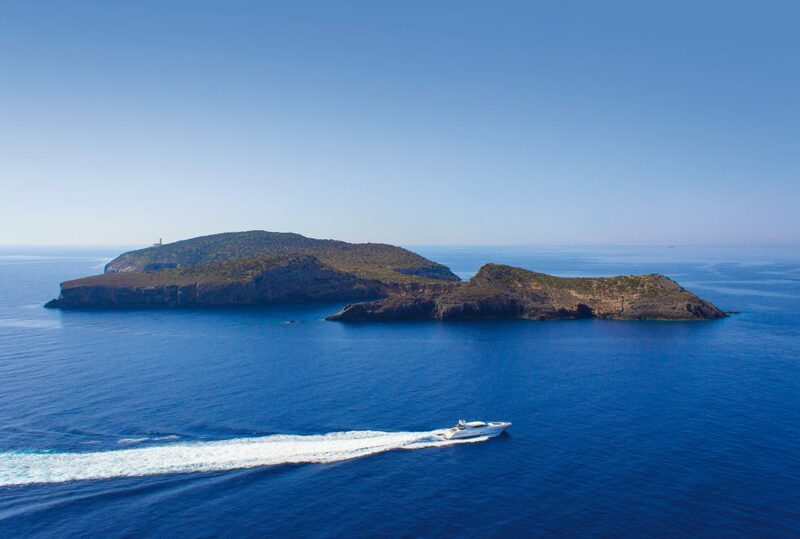 The price includes captain, crew, beer, wine, cava, soft drinks and water, snacks, towels, snorkels and paddle boards. 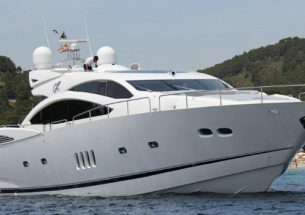 The price does not include fuel, mooring out of base port (Palma de Mallorca), or taxes (IVA 21%). 50% Due at booking. Balance due on arrival. The fuel deposit (average fuel consumption) must be paid prior to departure with the balance of the boat. If there is any difference this will be adjusted accordingly at the end of the day. Delivery fees from Mallorca to Ibiza approx. 4500€ +IVA. 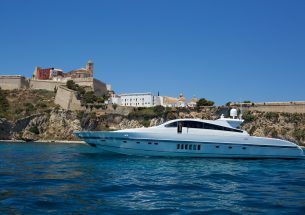 Note if the vessel is already in Ibiza no delivery fees will apply.